The winter season is over and spring sailing is upon us. Conditions have been amazing. Our windsurf community looks forward to a windy low season. 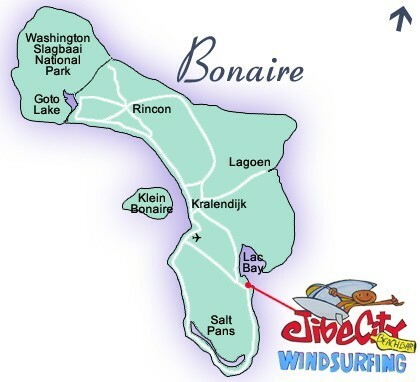 To inspire and motivate low season visitors to come to Bonaire Jibe City and Caribbean Wind & Sun Vacations has teamed up to offer some great prices. Book your stay between Aug.15 and Dec. 15, 2014 and enjoy 5 non consecutive day days of windsurfing for 250.00. Book a new package and earn 5-10% discounts off select accommodations. Ask about our Fall Bliss Packages. When the winds are light, take a flowstyle freestyle lesson, enjoy SUP, bonefishing, mangrove kayaking, diving and snorkeling. I have come to love low season with less crowds and great pricing. Email Ann Phelan at ann@bonairecaribbean.com today for details. This entry was posted on March 30, 2014 at 8:38 pm and is filed under Windsurfing. You can follow any responses to this entry through the RSS 2.0 feed. You can leave a response, or trackback from your own site.